The surreal John Wick: Chapter 2 knows exactly what it is and unabashedly celebrates action genre filmmaking at its finest. Keanu Reeves returns as the titular ruthless hitman to settle his unfinished business from the first film. 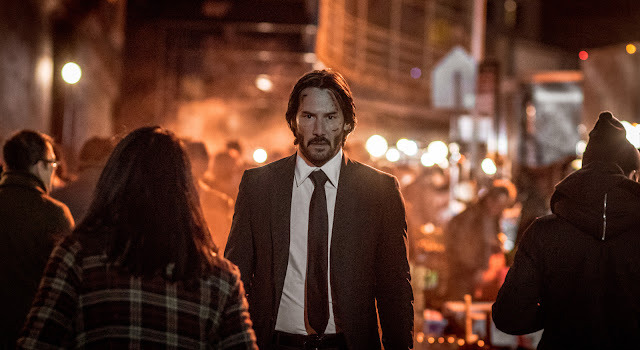 Reeves' Wick continues to wear nice clothes, drive fast cars, and shoot a helluva lot of bad guys all with style. 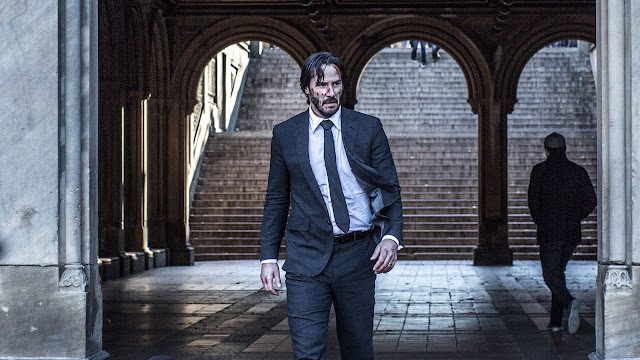 Stuntman turned director Chad Stahelski and screenwriter Derek Kolstad—John Wick co-director David Leitch remains an executive producer—return to recreate most of the same insane magic of the original while building upon the fantastical hitman universe they've created. It's structured as the midpoint of a broader story picking up right after the events of the first John Wick and leaving audiences on an open-ended note with a new order established. Chapter 2 unfortunately slows down partway through after an exhilarating open car-fu style action sequence wrapping up the first film's storyline before introducing new characters and plot elements set all over Rome and New York City. Background details about how Wick secured his retirement from a life of killing and how he must rectify his new sins get bogged down after more than a few well executed but occasionally tiresome first-person style shootouts and choreographed ultraviolent gunplay battles. The mostly silent Wick is surrounded by some fun supporting players like Common and Ruby Rose who serve as worthy physical antagonists in their rival assassin characters. Laurence Fishburne offers a nice but small turn as another crime lord to aid Wick on his quest for revenge. However, it's Riccardo Scamacio as Italian crime boss Santino D'Antonio who is the final big boss with an ongoing link to Wick's shadowy past and a slightly repetitive setup/payoff motive. John Wick: Chapter 2 builds on the same strange but endearing elements of the first including the luxurious Continental Hotel for contract killers run by Ian McShane and Lance Reddick reprising their roles to help flesh out the mysterious murderous society. British comedian Peter Serafinowicz has a scene stealing sequence as the playful on-call gun sommelier inside the Roman location of the hotel for hitmen. The shoot 'em sequel is mostly one of the more entertaining action movies made in recent memory and lives up to all the silly but very fun promise teased. Reeves is in peak form and the stunt team around him have assembled an amusing but still well constructed visual feast and showcase of action choreography.